These are the colors that I tend to gravitate to the most. I created another Mandala, only this time with very few colors. As I created this mandala, I thought of the beautiful, hydrangeas I hope to grow in my new climate when we move to Washington. So many varieties of hydrangeas just like there are so many varieties of mandalas. I love the calmness this mandala brought while painting with my watercolors. Do you have a color or colors that you are drawn to? Love that second hydrangea photo, Becca! I too love the blues, purples, pinks, and red..greens not so much. You are going to be one happy gardener! Yay! 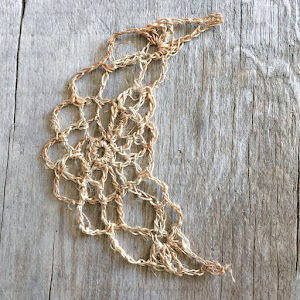 Another post from Patina Moon! I always look forward to your posts Becca. Your art is lovely and I like your gravitational colors. I tend to put a lot of pink in my art. I grew up with pink and I think that is why. You must be so excited for your move. I know I would be. Amazing colors and great works! I love hydrangeas too - they remind me of my grandmother who used to grow massive ones in her garden. Love the mandala. 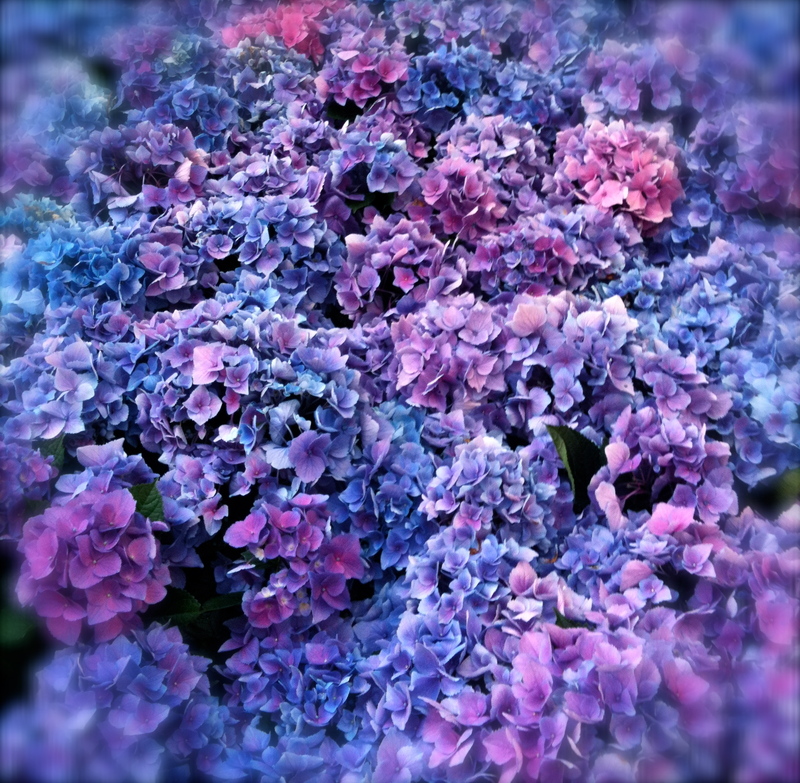 I tend to gravitate toward the hydrangea palette too. Las Vegas to Washington? Your gardener's heart must be leaping for joy! 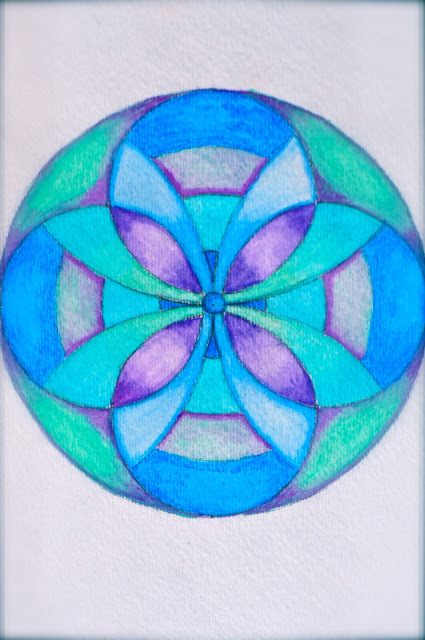 Blue purple and fuchsia are my favorite colors, I like your Mandala. You are so amazingly!. Very pretty colors you use here and beautiful flowers. Have a nice weekend. Love how you used the shading on your mandala with those luscious hydrangea colors! I am liking these my friend. I bet they are very calming to create!! Love hydrangeas in all their amazing colours and love this mandala. Beautiful! Like you, I am drawn to cool colors: green, blue and violet! I often paint with blue and metallic colors! those hydrangea colours are absolutely stunning and vibrant and your music is making me want to go and have a massage, it's very calming and the sort of music you hear in a treatment room! Your use of colors is awesome!! And your photos amazing! Wow Becca my absolute favourite colours!!!! I love the colors of your mandala (and the way you've photographed it is beautiful)! Beautiful, peaceful work. These are the same colours I am drawn to. I adore hydrangeas. And they do grow beautifully here! Where are you looking to live here??? My favorite colors are warm yellow, coral red, and turquoise blue. Even though Ultramarine blue is cooler in hue, I like it also! Those certainly are gorgeous colors. I am loving your work, it's beautiful. Becca, this is beautiful, and the hydrangea are just amazing. So much gorgeous color all in one place! Beautiful shades of blue, both in your art work and in nature. You will be delighted with what you'll be able to grow in Seattle. It must be so exciting to look forward to. I find I'm drawn to different colors at different times, but there are a few that are always my favorite. These colours are fantastic, Becca! And your mandala looks amazing! Sooooo beautiful!! Colors are just so brilliant! However, a hydrangea and its pretty colors always stops me in my tracks - they're such a favorite of mine! and, you're moving to Seattle area! Wow!!! I love it up there but it's, er, the opposite of a desert, that's for sure. There are some beautiful gardens up that way. A ferry ride over to Victoria, BC gets you to the Butchart Gardens. Have you been?